Woven Textiles alumni Hannah Robson graduated from Winchester School of Art in 2014 and went onto the Royal College of Art to study her Masters. 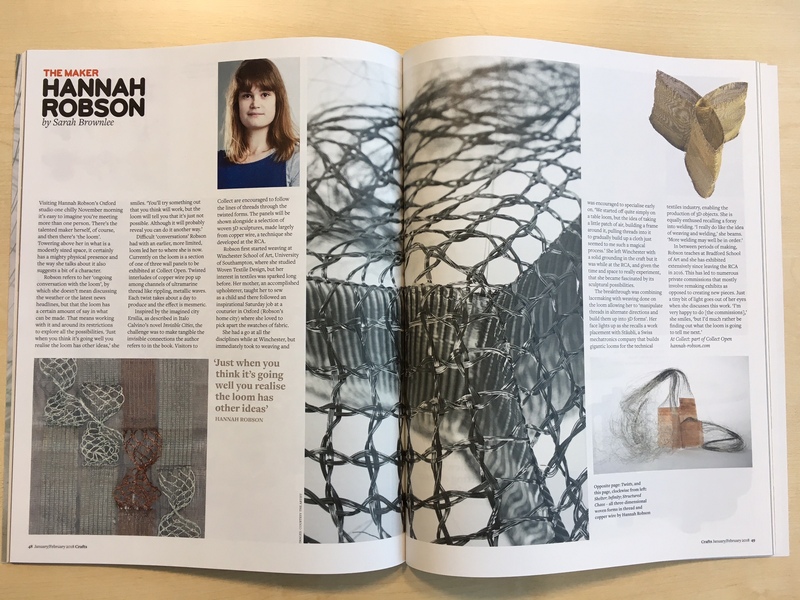 Hannah is featured in the latest issue of the Craft Magazine by the Craft Council where she discusses her work. This entry was posted in Fashion & Textile Design by Colin Henderson. Bookmark the permalink.